LENTHALL, William (1591-1662), of Lincoln's Inn, London; later of Burford Priory, Oxon. 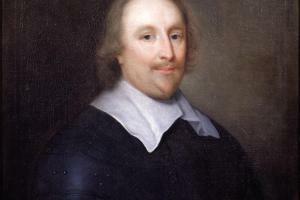 Despite Tanfield’s death in the following year, Lenthall hoped to be re-elected to Parliament in 1625, but he lost out to the ranger of Woodstock Park, Sir Gerard Fleetwood. This represented a break with New Woodstock’s electoral tradition, and Lenthall evidently sought a seat in at least one subsequent Parliament, for he later complained to the town ‘you know what a disgrace it was to me the last time, the not choosing me amongst you’.30 Nevertheless he remained on good terms with the borough, to which he had remitted the greater part of his annual fee in 1622 ‘towards the repairing [sic] of poor children’, and he was finally re-elected in 1640.31 His career flourished at the bar, accumulating funds sufficient for the purchase of Bessels Leigh in 1634 and Burford Priory in 1637.32 By his own account, he was earning £2,500 per annum before he became Speaker of the Long Parliament.33 He complied with most of the changes of the next 20 years, but was declared incapable of public office at the Restoration. 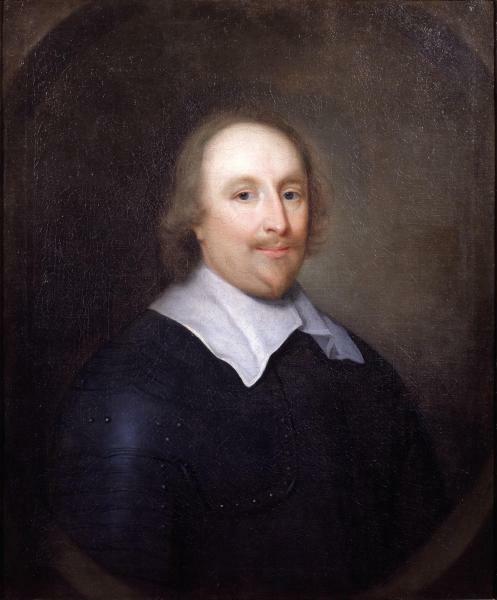 Having added a last codicil to his will on 13 Aug. 1662, he died three weeks later and was buried in Burford church.34 Portraits of Lenthall as Speaker by Henry Paert and Van Weesop are to be found in the Palace of Westminster. The National Portrait Gallery also holds an anonymous portrait (reproduced in the Oxford DNB) and a miniature likeness by Samuel Cooper. Lenthall’s eldest son John, a recruiter for Gloucester in the Long Parliament, represented Abingdon in the Convention until he was unseated on a double return. 1. Parochial Colls. (Oxon. Rec. Soc. xi), 231. 2. Al. Ox. ; LI Admiss. ; LI Black Bks. ii. 188. 5. Vis. Oxon. (Harl. Soc. v), 199-200; Vis. Norf. ed. G.H. Dashwood, i. 126-7. 6. W.R. Williams, Parl. Hist. Oxon. 60. 7. Woodstock Chamberlain’s Accts. 1609-50 ed. M. Maslen (Oxon. Rec. Soc. lviii), 86; C231/4, f. 132. 8. Glos. RO, GBR B3/2, p. 88. 9. LI Black Bks. ii. 309, 341, 343-44. 10. CJ, ii. 879; HMC 5th Rep. 113b, 163b; 6th Rep. 82b; 7th Rep. 153b. 11. Duchy of Lancaster Office-Holders ed. R. Somerville, 2. 12. A. and O. i. 885, 995, 998, ii. 1271; HMC Bath, ii. 132. 13. SP16/171/3; T. Rymer, Foedera, viii. pt. 3, p. 115. 14. C193/13/2; CSP Dom. 1634-5, p. 445; C231/5, pp. 69, 510; SP16/405. 16. SR, v. 154; A. and O. i. 541, 542, 546, 961, 966, 972, 1078, 1083, 1090; ii. 293, 299, 306, 461, 467, 474, 657, 664, 668, 672, 173, 1061, 1069, 1077, 1369, 1373, 1376, 1435, 1440. 18. A. and O. i. 455, 456. 20. VCH Cheshire, ii. 38. 21. A. and O. i. 1234, 1237, 1241, 1324, 1325, 1330; ii. 1290. 24. Duchy of Lancaster Office-Holders, 2. 25. CJ, ii. 20a, v. 259b, 269b, vii. 365b, 421b, 644-5, 797a, 880b. 26. A. Davidson, ‘Catholicism in Oxon. c.1580-1640’ (Univ. of Bristol Ph.D. thesis, 1970), pp. 138-40; J. Hurstfield, Queen’s Wards, 126; HMC Hatfield, xii. 82; xxiv. 65. 27. CJ, i. 679b, 737a, 763a. 28. ‘Nicholas 1624’, f. 218v; CJ, i. 709b. 29. CJ, i. 709a, 793a. 31. Woodstock Chamberlain’s Accts. 1609-50, p. 96. 32. VCH Berks. iv. 396; R.H. Gretton, Burford Recs. 275. 33. N and Q (ser. 1), xii. 358. 34. PROB 11/418, f. 351.